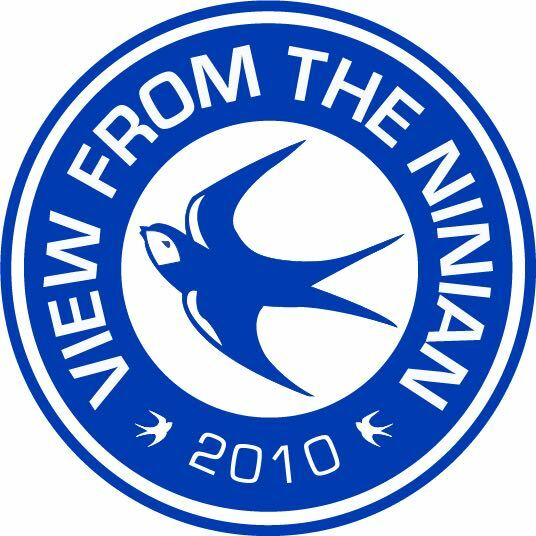 It’s a special week at View From The Ninian – it’s Jay Bothroyd Week! We’re delighted to have a three part interview with the City great. This is part one – enjoy! VFTN – How did you end up at Cardiff and how would you describe your career at that stage? What convinced you to join? At the time actually, I was having a really bad time at Wolves and I fell out with Mick McCarthy. You know, first of all he took my squad number away from me, then he made me get changed in the opposite dressing room, in the kids dressing room. Then he was going to bring me back, just to train by myself under the fitness coach, at the time it was Tony Daley, just in the afternoons by myself. Mick McCarthy was really trying to force me out of the door, but for me, I was and I am a professional. He was trying to make me go to clubs where he wanted me to go, rather than where I wanted to go. So I kind of stayed stubborn and waited for the opportunity to come around, for a club that I wanted to go to. So I thought, ‘Cardiff are a good team, I’ve always had difficult games against them, they play good football, I knew Terry Burton was there who worked with Arsenal’ and he said “just turn your car around and get down to Wales.” At that moment, I was on the M6 going to training, so I said to him “is that OK with the club?” and he said “yes, I’ve spoken to them” and that was my last time in the Midlands. I went straight down to Wales and I signed. I think to be honest, I had a lot of good memories at Ninian Park. Even though it’s a very old stadium and it wasn’t the greatest pitch, it had a really good atmosphere. When you’re taking a throw in or something, you can touch the fans. They were right there. Teams didn’t like to come and play us there, because of the fans. It kind of made it a place where we didn’t really lose much. It was just a difficult place to come to. The game that really stood out for me was when we played Arsenal in the FA Cup. I think we drew 0-0. My son and the rest of my family supports Arsenal, so I took them on the pitch for the first time. They got pictures and my son was a mascot, so that was a really proud moment for myself and for him. I loved playing for Dave Jones and I don’t think he gets enough credit for the job he did at Cardiff. He was the one that started the whole process. He got the best out of a lot of players and I think he did that mainly due to his man management skills. He also had Terry Burton there who is a fantastic coach. He had good people around him. He knew how to handle individuals and when to give the boys time off. He was easy to approach and easy to speak to. VFTN – Dave Jones seemed to spend whole games barking instructions at you, but there were also accusations that he was not strict enough with the likes of yourself and Michael Chopra. Was there a balancing act and how did Dave manage you as an individual? He handled me pretty well. For me, I was always professional. I always trained hard and went to training on time. I was often one of the first in and one of the last out. Probably my attitude was a bit, well, maybe I had a little bit of a chip on my shoulder. That’s just my personality. The person I am today and the person I was then are very different. I don’t think he managed me badly to be honest. Players are always going to be managed in different ways at clubs and the players that are maybe not playing are the ones who are frustrated and are mentioning these kind of things. The ones that were in the team, we were scoring goals, we were playing well, we were competing in the Championship under the manager and you know, I don’t think it harmed the squad. If anything, it helped the squad I think. With the likes of myself and Chops, we had experienced players there like Steve McPhail, Gavin Rae, people who I think if we were really out of line, then they would say something. I didn’t really see it as a big problem. I’ve seen some things online about players being treated differently, but you know, that happens at every club all over the country and all over the world. I actually I don’t know why but I ended up in a wide position and Dave Jones actually said to me that season: ‘I want you to play more central and stop floating into the wide areas.’ I remember when I picked it up, I took it inside and I was looking to play a cross field ball and play it into someone and no-one really showed, so I just thought, I’m going to bend it into the far corner and thankfully it went in. It was a really great goal. I remember after that game, that even though I had scored a great goal, it ended 2-2 and I felt disappointment because that was probably the game where we could have got automatic promotion, but we ended up drawing it and it dampened the spirits. I think if we had have won that game that day, I think we could have probably got automatic promotion. I remember it was really, really hot and it was a great atmosphere. The crowd was buzzing and singing non-stop. I think Craig Bellamy scored the second one and we were in total control, but we just made some stupid mistakes and obviously it cost us the three points. Then I think I jumped for a ball, landed and I tried to sprint. As soon as I pushed off, I felt a pop in my calf and I knew straight away. It was really painful and I could barely walk. Obviously, I was disappointed and the manager was disappointed. He was even saying to take a cortisone injection and I think the doctor said that I won’t feel pain, but as it was in my calf, that I could really do damage, so I decided that I had to come off. As much as I was upset and as important as I was to the way we played, I believed in the squad. I did feel that we could’ve got a result and to be honest, I felt that we were unlucky not to. I do believe that if I had stayed on, I think yeah, we would’ve got promotion because we were very comfortable playing in a certain way. I think we were lucky that season that we didn’t have many injuries. So yeah, I think we could’ve won, but I was disappointed and there was nothing much that I could really do when that happens. Maybe if it’s a groin injury, or if it’s like a certain hamstring injury, which did happen to me when I was at Cardiff and I continued. You can jog and kind of stride, but to really open up and sprint is difficult, but there were games where I did do that. This one in particular, I couldn’t. Every movement you use your calf muscle, so I just felt it was best for the team that you have someone on who can give 100%. I went for a scan two days afterwards and they said that it was a grade 2, almost grade 3 calf tear, so I then knew that it was kind of serious. The goal against QPR was good, I liked that. My first goal I enjoyed, because I didn’t score for like the first five games and I remember the reporters were getting on my back, so that was an enjoyable one. I also enjoyed the one against Swansea, even though we lost 3-2. I always enjoyed playing against Swansea. The atmosphere in those games were amazing. I always say that’s one of the biggest and best derbies. Purely for the fans hatred and the atmosphere in the ground at the time, it’s an amazing game to play in. Craig Bellamy’s goal was the best goal that I was involved in, when we beat them in the last 5 minutes. I enjoyed that goal against Leicester in the play-offs. That was a nice goal, dribbling across the box and then shooting. That was a great occasion, but I think my first goal for the club, I enjoyed that one the most. That was kind of like a pressure off my shoulders. Thanks to Jay for taking the time to speak to View From The Ninian. We hope you enjoyed part one of our interview with the great City striker. Parts two and three are coming later this week. We’ve also got a bunch of brilliant Bothroyd related content coming this week, so be sure to keep an eye out for that.